Fireworks on and around the 4th of July can scare dogs and cats causing them to run off. Shelters are flooded this time of year with lost dogs and cats due to the fireworks. 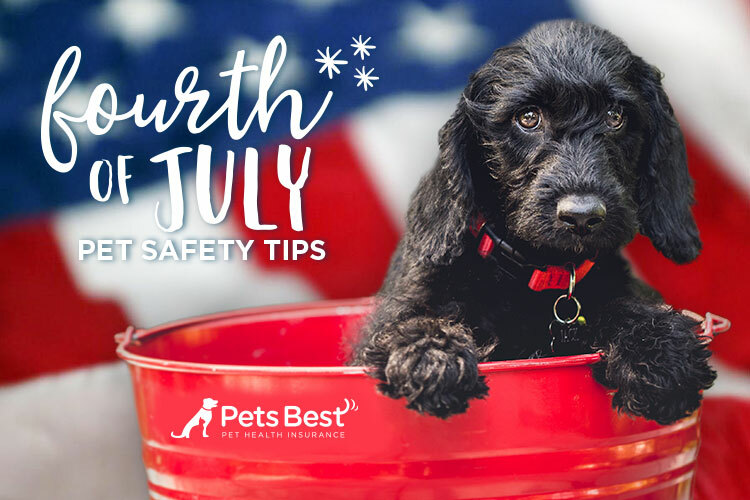 Make sure to follow these four simple pet safety tips to keep your pets safe this 4th of July. What if You Find a Lost Pet? Be on the look out for other pet parent’s fur babies that might have run away during the grand finale! Knowing what to do when you find a lost pet can help reunite that pet with their owner faster. This can bring relief faster to the owner and pet, as well as give you a warm fuzzy feeling for helping. If an accident or injury does occur during the Independence Day celebrations that results in a visit to the veterinarian, a Pets Best pet insurance plan can help make veterinary bills more manageable. Visit PetsBest.com to learn more.